The two teasers posted by Gionee doesn't reveal any details about the F6 and F205 smartphones. However, both confirm the presence of a full-screen experience through the advanced display panels that would have minimal bezels and an aspect ratio of 18:9. The formal teasers also reaffirm that the smartphones will be unveiled on November 26. 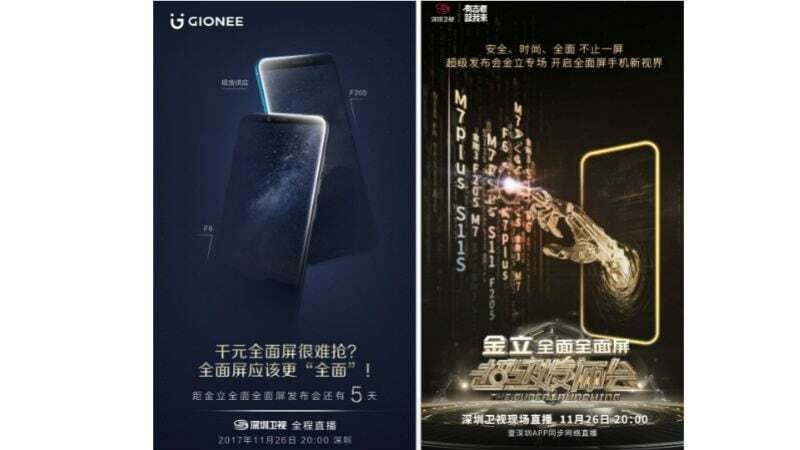 Further, one of the teasers shows that the Chinese company will showcase the Gionee M7 Plus, S11, S11, and Steel 3 at its forthcoming event.